Notice: There have been reports of emais being sent to Craigslist ads and text messages directing users to pic-send.com with a corresponding "Sender's Code." 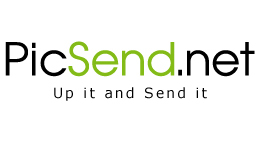 PicSend.net is in no way affiliated with these messages or "pic-send.com." Play Counter-Strike: Source at ESEA in a cheat-free environment! Copyright © 2019 PicSend.net. All rights reserved.